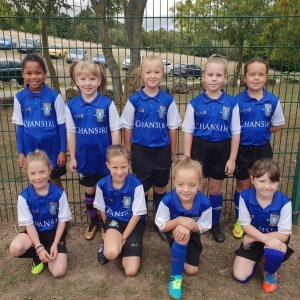 Well done to our U9's who played away at Huddersfield in their semi-final. They lost out in a great game where they matched their opponents for long spells of the game and after trailing 3-0 they pulled it back to 3-2 and looked the most likely team to get the result. However fair play to Huddersfield who caught our girls on the break twice with our young stars chasing for the equaliser. No shame at all in going out at the semi-final stage in their first season of playing football. Well done Huddersfield and good luck in the final.